Radder, Hans and Meynen, Gerben 2013. Does the brain “initiate” freely willed processes? A philosophy of science critique of Libet-type experiments and their interpretation. Theory & Psychology, Vol. 23, Issue. 1, p. 3. Gomes, Gilberto 1998. 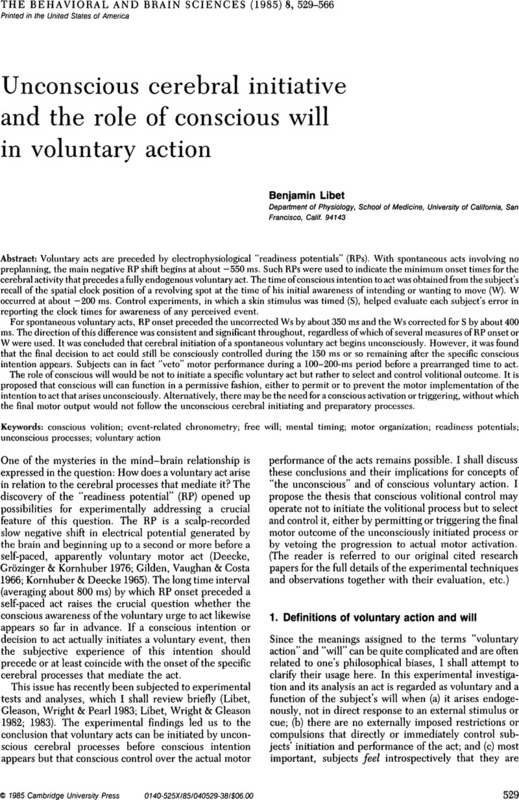 The Timing of Conscious Experience: A Critical Review and Reinterpretation of Libet's Research. Consciousness and Cognition, Vol. 7, Issue. 4, p. 559.